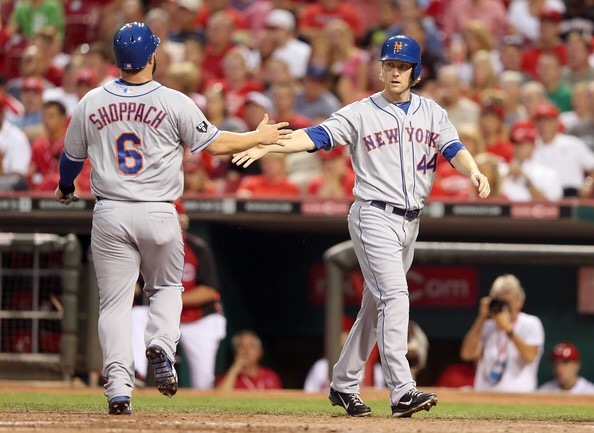 Believe it or not, the Mets have actually made two moves this offseason. Both were minor league deals. The first was to utility man Ty Kelly. The second was to Stolmy Pimentel. How will they fare? Who knows? That’s the thing. You never quite know what to expect when you bring a player in on a minor league deal. Sometimes it’s a veteran just looking for one last shot. It can be a young player just looking to get an opportunity in another organization. Ultimately, these are players that just want a job, and they’re going to give it everything they have because if they don’t, their career might be over. Mets fans and the organization need not look any further than R.A. Dickey. When Dickey signed the deal he was coming off a then career year that him have a 4.62 ERA and 1.617 WHIP in 35 games (only one start). There was no reason to believe the signing would amount to anything more than minor league depth even if knuckleballers tend to figure things out later than more “conventional” starting pitchers. He came to it even later as an adjustment because he was born without a UCL. Well, you know the rest. He went 39-28 as a Met with a 2.95 ERA and a 1.150 WHIP. In 2012, he was an All Star and won the Cy Young Award going 20-6 with a 2.73 ERA and a 1.053 WHIP. Because of that year, and the fact the Mets still had him under contract for another year, the Mets made perhaps the best trade in franchise history acquiring Travis d’Arnaud and Noah Syndergaard along with Wuilmer Becerra and John Buck. Speaking of John Buck, he would be traded by the Mets the following year along with Marlon Byrd. Byrd was also signed to a minor league deal. When these two were traded together, the Mets acquired Vic Black and Dilson Herrera. Black was effective did the Mets out of the bullpen for a year and a half before he was injured. Herrera is the second baseman of the future. Now, there are a million minor league deals that don’t amount to anything. However, those players are released in Spring Training or spend the year in the minors. You don’t spend much money to acquire them, so it’s not a big deal. This happens in the vast majority of signings. Still, there are always needles like Dickey and Byrd in the free agent haystack. If you’re able to find them you can turn your franchise around. Now, it’s not likely that either Kelly or Pimentel will make that type of contribution. If they make any positive contribution, the signing is a homerun because nothing is really expected from them. The bar for success is very low, but the sky’s the limit. It’s why I love minor league deals.